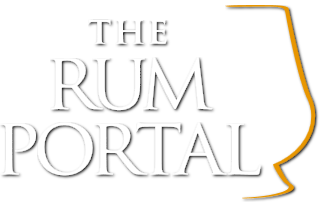 the Rumportal – Life's too short to drink bad rum! TheRumLab.com is proud to celebrate the 1st New York Rum Festival at S.O.B’s – NYC, New York. This year the program is being launched in a boutique style. More than 40 rum expressions will be poured. Our team are the producers of the Taste of Rum Puerto Rico official national rum fest, in addition to the California and Midwest Rum Festival. All events attracting hundreds of people from trade, rum aficionados, tourists & locals. Source: California Rum Festival – TheRumLab.com is proud to celebrate the 4th California Rum Festival. This year the event will be held at SOMArts – San Francisco, California. Last year more than 20 Rum brands participated and over 600 people attended the event. This year we will enhance the event adding a Trade Program and some Tiki flair. Our team are the producers of the Puerto Rico Rum Fest “Taste of Rum”, the New York and Chicago Rum Festival. All events attracting hundreds of people from trade, rum aficionados, tourists & locals. Industry only trade fair that covers the key components of the beverage industry including: operations, beverage making, craft-minded products, new and cutting edge topics and idea in the wine, spirits, and beer industries along with some non-alcoholic trends and products.